Rana Plaza, located just outside of Dhaka, Bangladesh was an eight story building that collapsed due to poor construction and lack of maintenance on April 24, 2013. Thousands of workers were housed within the walls of Rana Plaza and were forced to go to work although there was knowledge of a large crack in a column of the structure that eventually led to the collapse. One thousand-three hundred-thirty four people lost their lives in Rana Plaza and more than two thousand people were injured. One thousand-three hundred- thirty four (1,134) people lost their lives in Rana Plaza and more than two thousand (2,000) people were injured. The thousands of laborers worked for very low wages for big-name western companies such as Joe Fresh (Canada,) Carrefour (France,) Primark (UK,) J.C. Penney (U.S.,) and Zara (Spain.) As of this 2014 Forbes article some companies had paid financial compensation to the families of the deceased, and some had not. Other large companies like Walmart and the Children’s Place (both U.S.) had paid compensation even though they did not house workers in the building at the time of the collapse, but had at some point in the past. On top of financial compensation, those found responsible for the collapse were charged with murder back in 2015. My shopping habits have changed drastically since hearing that interview and reading the book (I haven’t shopped at or even entered a large clothing chain since summer 2014.) You can read about my lifestyle changes in previous blog posts which outline hosting clothing swaps, a great alternative to supporting Fast Fashion. I don’t write this post to be self-righteous or to encourage readers to shift their shopping habits as drastically as I have, but rather to inform consumers, because we are all consumers, of a tragedy that they may not be aware of. The collapse at Rana Plaza happened just three years ago,but I’d bet that many shoppers have never heard of it. You can dig and dig and dig and find many other similar stories of ill-treated, cheaply hired labor in developing countries. Laborers whose stories are not shared enough and who may even sacrifice their lives in poor working conditions for a cheap price tag in a department store. Bangladeshi workers work for a fraction of the cost of other laborers elsewhere and are often forced to work 12 hour days in unsafe conditions. The lives of laborers are the hidden costs of cheap clothing that we blindly consume. It’s never fun to be the bearer of bad news, and I often feel that I’m a “Debbie Downer” because I share tragic news with friends and readers, but if we never know the truth then we’ll never change our ways, and if we, the consumers never change our spending habits then we’ll never shift the way of production. Whether you decide to go to a second hand shop this weekend instead of a mall or department store, or share this link or story with a friend, every little bit helps and adds up eventually. But we have a lot of sharing and changing to do to defeat the Fast Fashion industry. Yoga is much more than a physical practice. The mindfulness that is practiced during yoga starts to happen in day-to-day situations such as more healthful eating, calming the mind in times of stress, and even in the way we consume. A few years ago I became more aware of the fashion industry and have since then drastically changed my consuming habits. We don’t often think that long about a purchase anymore. In terms of clothes, if it’s on sale, fits, and looks cute, then in the cart it goes. It could be useful at some point, right? But often times that $5.00 top gets tossed into an overcroweded closet never to be seen again. This is a common happening for a lot of (especially) women in our culture. Advertisements, Hollywood, and popular culture throw messages at us all over the place to buy more, more, more. But where are all of these clothes coming from? The line of production of a piece of clothing is a lot longer than we think. First, the fabric starts out as a raw material. Let’s look at that $5.00 top and assume that it’s a T-shirt. If it’s cotton then it would have started out as a seed. According to the research done by Planet Money of NPR, who followed a T-shirt throughout its entire life-cycle, 90% of all cotton seeds are GMO. Then there’s the resources needed to grow that little seed. A lot of water is needed for cotton and that water sprays off the pesticides and fertilizers that are used on the cotton, seeping into the water basin (buying organic cotton is an idea.) So already when we take a closer look at just the cotton that will eventually become a cheap T-shirt, there are quite a lot of negative effects. This is assuming that the T-shirt is 100% cotton, what if it was a blend, say made with 5% spandex to give it to some stretch. Spandex is a synthetic fabric made using more (chemical) resources in production. I attempted to do basic research into this and was scared off by all of the chemical jargon that I couldn’t even pronounce (macroglycol and diisocyanate to name just two.) Test your patience with this read. After the cotton is harvested it gets shipped to another location, most likely in another country, to be turned into fabric. This process might include such steps as washing the cotton, spinning it into yarn, turning that yarn into fabric and dying it. The dyes are not often natural anymore and run into the local bodies of water. You can google images of rivers running all colors of the rainbow in manufacturing countries. Then the fabric gets cut and sewn into T-shirts. Most of this production no longer happens in the developed world. Thanks to globalization and outsourcing the job gets done by populations in poverty who will do it for much less. Most clothing tags read: Vietnam, Turkey, China, or Bangladesh, just to name a few. In these countries the laborers can be paid much less and the working and environmental standards are much lower or non-existent. Chemicals and pollutants can be harmful to their health and do damage to the local environment, too. Again, according to the work done by Planet Money, some workers in Bangladesh work six days a week and make about $68/month. Here’s a link to a video series about the process made by the podcast. Wages may be a low cost to the producers, but the long-term and often unthought-of cost of pollution and dangers to health is often overlooked. In April of 2013 there was a massive and devastating building collapse in a Bangladeshi factory. The multi-story building housed hundreds of employees put to work to produce clothing items for around 30 big names in the industry. The building was not well maintained which probably caused the collapse and took the lives of around 1,000 people. All working to produce cheap fashion for us in developed nations. When given thought, it makes that $5.00 T-shirt seem a little more expensive in terms of hidden costs- some even in human lives. Possibly made in a similar factory as that which collapsed. That tragic incident was the turning point for me. The event was framed by author Elizabeth Cline, in an interview on NPR’s Fresh Air. In the interview the author details the problems in the industry that she discovered through intense field research in countries like Bangladesh. After listening to the interview I began to realize that there was really no need for me to shop as much anymore. My closet had been full, and bursting, for most of my adult life. Shopping to me was a hobby, a way to spend an afternoon. Yes, I got that rush when I scored a great deal and even bragged about it to my sister, but that little rush and hobby had to be altered out of respect for the negative effects it had in other parts of the world. And really it wasn’t that hard to do. Escaping from the pull towards trends and fast fashion may not be easy at first, it requires a change of behavior as well as the mindset to be happy with what you have. There are certainly days when I see something in an ad and think to myself, how cute and nice it looks and wouldn’t it be great to have? But I quickly find my way back to the core thought that, on second thought- No, I don’t NEED it, I can happily do without. Best of luck to you on this journey of lifestyle change for the better. More blog posts in the future on specific tips and experiences. Clothing swaps are great alternatives to shopping, and make for excuses to have a social gathering with old friends or new. They’re very easy to put together and require very little planning. Plus, everyone will hopefully go home with something new (to them) and exciting! I first attended a clothing swap with my boyfriend’s mom where she lives in the south of France. On a fall afternoon a large group of women gathered in a friend’s home and laid out items that no longer got much use from them, to be shared and swapped with all in attendance. It was a lot of fun and a few years later I found myself hosting a swap in my expat community of Busan, South Korea. 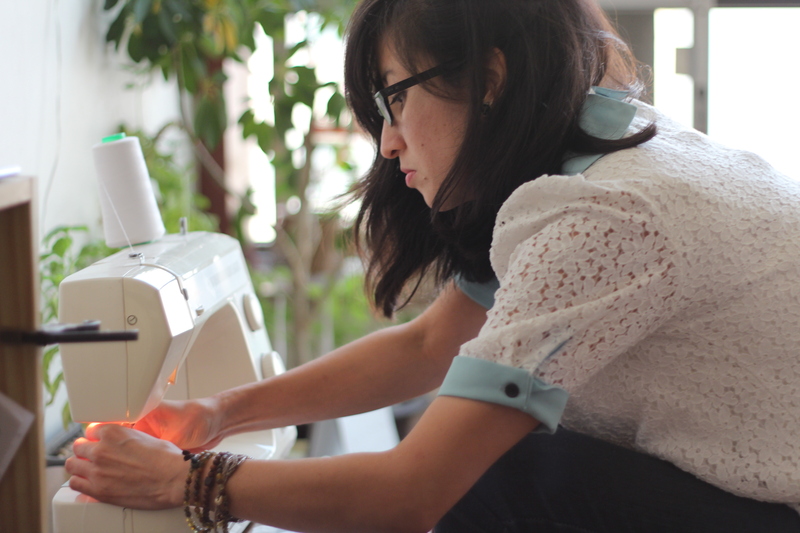 Here’s a quick how-to on hosting a clothing swap. Details are specific to an expat community, but a swap can be held anywhere. Invites: Social media makes planning a breeze, with a few clicks and a nice photo you’re done! For my events I made the events public, open all in the community. For your friends you could make it more intimate by inviting them by phone or even send out some nice stationary, but doing things electronically saves paper and time. Choose a Time: I have had a lot of success hosting swaps when the seasons are changing. People tend to pack up their shorts and tanks and pull out the sweaters in the fall, so that’s a great time to host an event, likewise spring is another great time. I encourage people to bring summer and winter clothes as people might be vacationing to warmer places, or can store the items for later. Inform Your Guests: Some people may not know what a clothing swap is, so let them know that it’s a chance to hand in unwanted clothes for others’ lightly used items. You can have your event be for ladies only, or extend it out to men or even make it a family event for children as well, as I’m sure a lot of families may have clothes that are getting too small and equally would be in need for someone else’s larger sizes! Be sure to plan the event a few weeks in the future to give people time to go through their closets. Decide if you want to include accessories and footwear and let everyone know. Be sure to tell guests that only lightly used items are appreciated. Chose a Venue: As a very casual event you could host a swap in your living room, or on the porch in warmer months. You could make it more fun by incorporating a potluck. For a more public event, seek out a local cafe and encourage your guests to support the cafe by purchasing a drink or food. The chosen location might not even charge you rent if you let them know guests will be buying their fare. Arrange Drop Off Times: Expat communities see people come and go routinely. Plan your swap to coincide with the waves of expats coming in and out. For example, here in Korea the school year begins in March, so people leave in February and newbies arrive in March- a great time to host a swap. In order to collect off of the people who are flying out, ask the cafe if you can collect a few weeks early and store there, if that’s not an option, consider storing and collecting at your place. Donate the Extras: Storing all of the left overs might not be reasonable, so search your local area for a charity shop, orphanage, or women’s shelter to take the clothes that remain. Call ahead to make sure that they’ll accept what you’ll have to bring. Hosting a swap does not require much at all and can be such a fun event. For my first swap, I held a talk at the beginning for those interested about the sustainable aspect of the swap, which might be a good idea if you want to give your event a deeper meaning. Here is the Facebook Event link to my upcoming Swap in Busan on March 14th. The swap is open to the public. As the host I encourage anyone to come have a look through the clothes, whether you have anything to contribute or not. The reason for this is that by taking an item off of someone rather than buying it new in the shop, you save the item from the landfill and also don’t contribute to mass consumption… but that’s a whole other blog post! Update, here a few photos from the Swap that was held in Busan on the 14th of March. It was a success I believe, with people walking away with mounds of clothes. I learned from this event and am hopeful that next season’s will be even more successful and run more smoothly. This past event I happened to become ill during the swap and was running a fever for most of it, thankfully some good friends stepped in and helped me out so much. Thanks ladies! 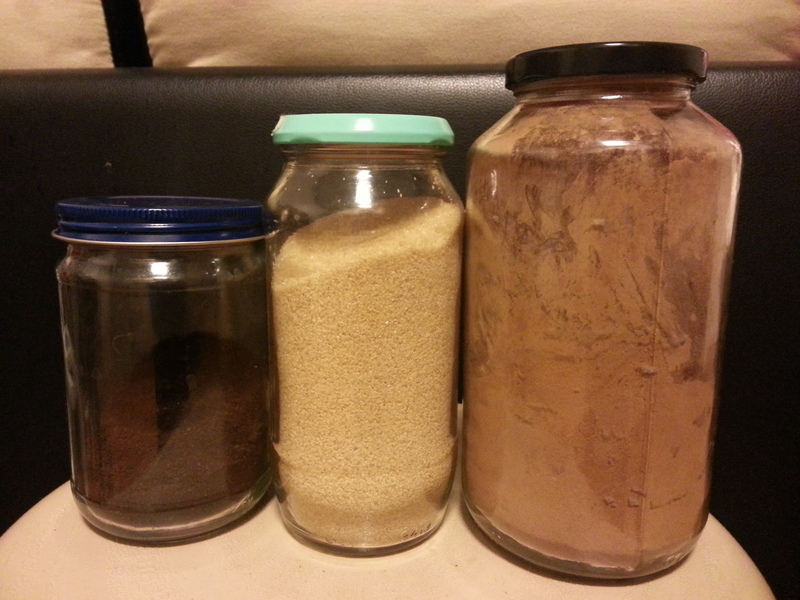 I learned about using compost to make natural dyes via a podcast that my boyfriend was listening to one night, and it caught my attention. On the podcast, the woman was talking about collecting onion skins from restaurants to turn them into dye and I thought, well we go through a lot of onions, so might as well start collecting. I also asked some girlfriends to save their onion skins for me and had quite a collection. This past weekend I finally put the skins to use and the results were surprisingly nice. They will be sewn into eye pillows and cases. The Collection: I’m not sure on an amount, but if I had to guess I’d say that I used about 20 onions worth of skins. Initially I froze the skins, but I found that that’s not necessary. The skins keep well at room temperature as long as none of the flesh is on them. It’s winter now, so that might not be the case during the humid summer. The Process: I followed this blog. Outlined below are the steps I took to dye my fabric. After collecting and storing the skins until I was ready to dye, the first step I took was to soak the onion skins. I covered the skins in water until they were all covered, but of course some were not submerged because they floated to the top. I had read that soaking over night gets the best results, so that’s what I did. boiling for long. After they reached boiling, I lowered the heat to simmer. They simmered for about an hour. When I went to turn off the gas completely, I noticed that a lot of the water had boiled off and the water was colored an orange-brown. I removed the skins as much as I could. The next step is soaking the fabric in thedye. Using different types of metal creates different colors, so I used two different pots and experimented a bit. One piece of fabric was completely submerged in a cheap camping pot (I’m not sure what type of metal it is, but it’s cheap) while the other fabrics I played around with and explain how below. For the best results the blog said to soak the fabric in thedye while it is heated on the stove for about an hour. The other effect I daydreamed about making was an ombre effect, or fading from dark to light. I theorized that if I strategically hung the fabric above the dye only submerging the end and then lowered more into the dye every hour, then I’d end up with the part that was soaking the longest would be darker in color and that which was soaked for the least amount of time would be lighter in color. The end of the fabric wasn’t submerged at all and stayed the original cream color (minus some staining from the steam of the dye. After the fabrics were in the heated dye, I turned off the heat and let them cool in as they were. For better results it was recommended to have them sit in the dye overnight which is what I did. The following day (3 days into the process now) I took them out of the dye and rinsed them in cold water until they stopped running. The results of this process came out great, I thought. I hope to play around with other natural dyes in the future. A student recommended dying with turmeric and fruit skins. Have you had any success with natural dyes? I’m assuming that tumbler is not just a Konglish word used over here in South Korea, but is also a term used in the wider world, but just in case that that isn’t the case, I’d better clarify. A tumbler is a mobile, reusable, totally sealed thermos for your coffee or tea. I was gifted mine back in 2010 and it still makes the daily rounds with me pretty much wherever I go. I prefer it to a water bottle because it holds both hot and cold, and it insulates. So my ice water on the beach in July is nice and chilly and my green tea in December fogs up my glasses on the subway. Here is some more info on this wonderfully useful device. The fact that it has a vaccuum seal lid raises it far above it’s cousin the travel mug, and this is because it can be tossed in any bag and carted along without getting your precious belongings splattered or drenched in a sticky chai tea latte. Recently in the past year I have been biking to and from lessons more often than I used to, and I have had absolutely no hesitation throwing my full tumbler in my backpack. I can’t say that this would be the case if I had a lesser quality tumbler, so if you’re looking to purchase maybe read reviews. It’s also cost efficient. If I compare the cost of a tumbler, which is about $20-$30, to buying a plastic bottle of water at a convenience store at about $1, it would of course take only 20-30 times to equal the cost of the tumbler. That’s only about one month of yoga classes, so in one month my tumbler has earned her keep. That time frame is decreased if I get a to-go coffee at a chain, as they usually give a discount if you ask them to put the coffee in your tumbler. A minuscule sample (I didn’t see anyone else drinking out of a mug or reusable tumbler besides myself in this busy cafe) of single use paper and plastic containers. A drink of choice was purchased and poured in, then said drink was drunk, and then they were tossed. Another reason why I prefer using a metal tumbler to using plastic water bottles is of course sustainability. 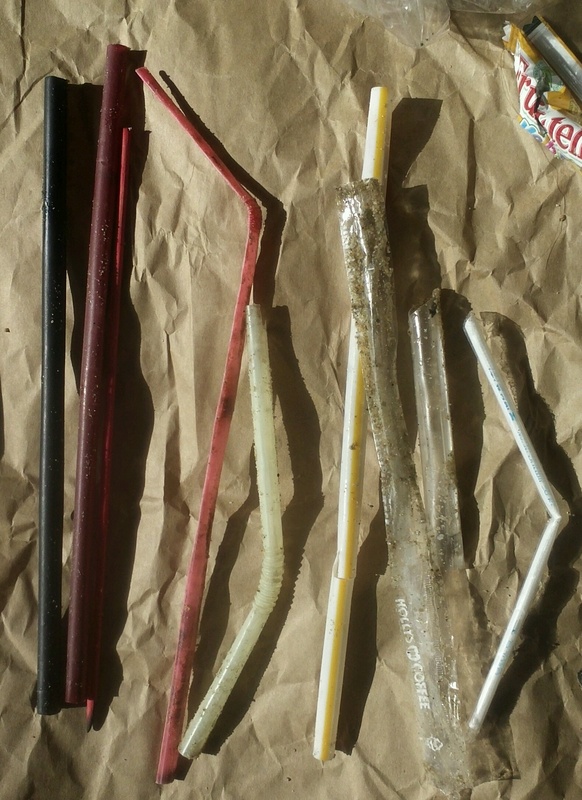 I’m trying more and more to cut back on using single use, disposable items (think plastic forks, water bottles, straws, etc.) with the hopes of one day quitting use totally. 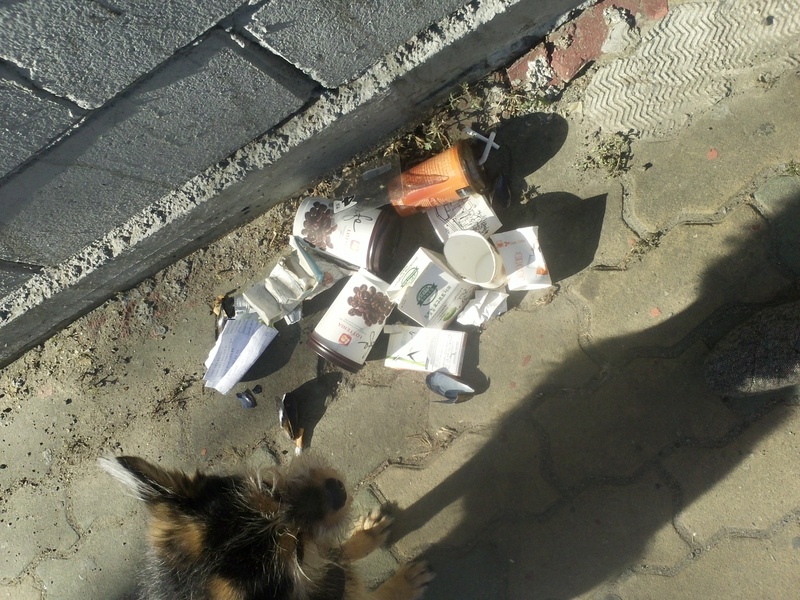 Litter is an unfortunate, daily problem here in South Korea. I’m not going to try to explain this problem here, because I don’t want to judge the culture of the country that I have been calling my home for 3+ years, but I will say that I don’t condone the littering. Cafe culture is HUGE here, I live one block from a main tourist beach in Busan and there are innumerable cafes (ok, realistically about 50ish on a 1.4km/.87mi long beach) and the majority of patrons of those cafes get single use to-go cups. Employees don’t even ask preferrence, they just give the to go cup, plastic or paper, regardless of whether you’re about to stroll the beach or sit down and study for an hour. That’s a lot of waste each and every day; waste that is usually just littered on the beach or street since the city doesn’t provide many waste receptacles. There are recycling areas sporadically on the beach, but the cups and other waste items don’t always make it there. Fred disapproving of litter outside of our apartment building. There are at least five single use containers for hot liquid here. 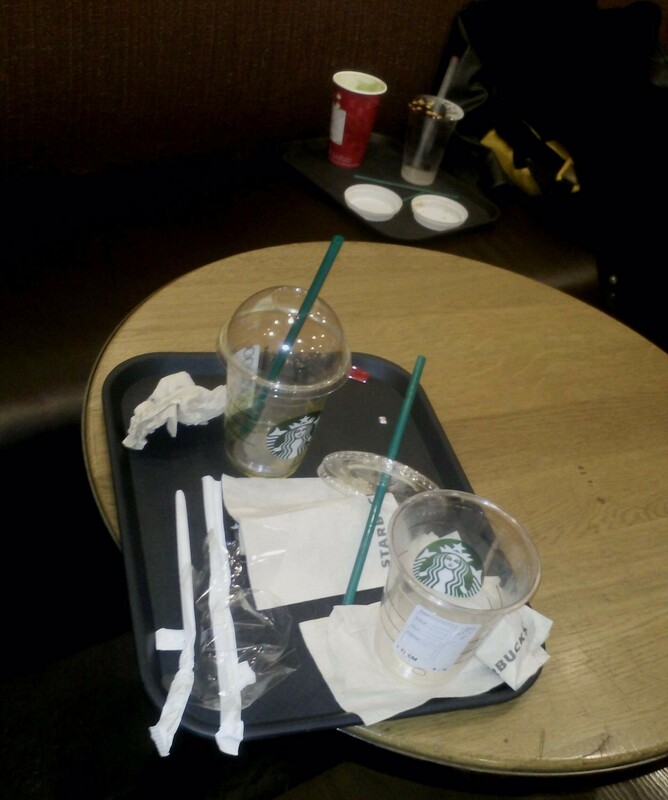 The coffee would have been drunk in minutes and then littered. And if the cups do make their way to the recycle bins then all is fine and well, right? Well not totally, ok yes, they can be recycled, but recycling uses a lot of energy, so it’s better to reuse. That plastic bottle has to be taken to a processing plant (shipping fuel,) where it is sorted, cleaned (water/energy waste,) processed into pellets (more energy waste,) and then the pellets start their journey to be turned into more plastic bottles or plastic bags. But imagine if we just stopped using those plastic bottles/bags, then there’d be no demand for them. Instead we could use metal tumblers and cotton reusable bags. In the description I use the word waste purposefully because if we change our perception of plastic use to waste, then maybe we’ll stop using (wasting!!!) so much plastic. The final reason why I’m antiplastic bottle is the negative effects of leaking chemicals into the food or drink that we consume, especially with a heated food or liquid. The research has been out on BPA (bisphenol A) for a while. I’ve heard and read some pretty scary stuff about the chemical which is used to make plastics more durable. You can read up on the stuff yourself here, and at breastcancer.org, and with this PDF, and lastly if you’re more of an auditory learner then this is a very informative interview with a scientist who wrote a book about testing her own breast milk for toxins. This is what the lid looks like screwed off. The piece on the right has somewhat of a filter which is great for stopping tea bags. A yoga prop that I love to utilize in Savasana (corpse pose) is an eye pillow. I started to use one regularly years ago after being introduced to them at a yoga studio. What an eye pillow is, is what it sounds like; a tiny little pillow to rest on top of your eyes. Usually they are made of a soft fabric like silk or cotton that feels comfortable on your face. The filling is made up of flax seeds coated in an essential oil- lavender being my favorite. Not only does the soft scent of the lavender calm you as you inhale in your Savasana, but the flax seeds make it impossible not to close the eyes and also block out any light in the environment. Unfortunately, I lost my eye pillow months back while travelling and never replaced it. Instead I had a goal to teach myself how to make them and it turned out to be much easier than I might have imagined. I acquired a sewing machine, found a tutorial online, and cut apart an old pillow case to upcycle* into the eye pillow, and while I was at it I created half a dozen for the students of my classes to use. These lovelies were a long time in the making and even include hand-picked, dried lavender kindly sent from England, upon request, from my boyfriends mother. Cut your fabric to 25x25cm. Fold the fabric inside out (print on the inside) in half and sew to close two sides leaving an opening to fill the pillow. Turn the pillow right side out. 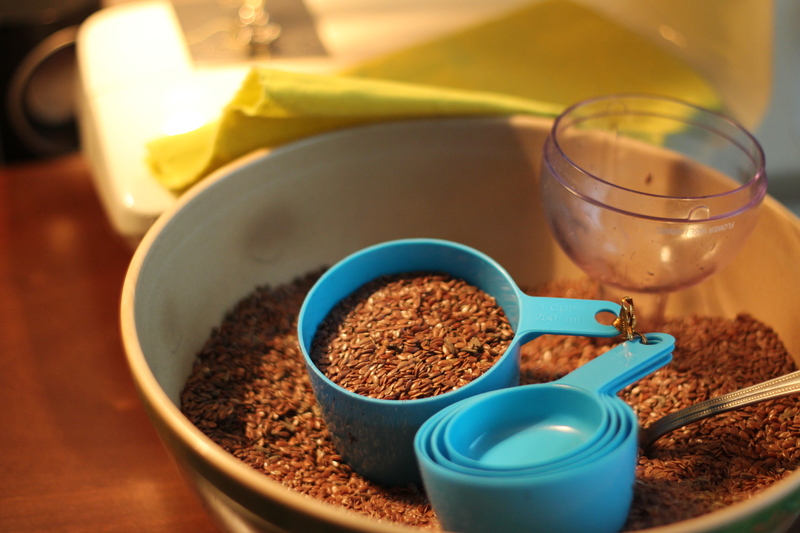 Fill the pillow with about 1 ½ C of the scented flax seeds depending on how dense you want your pillow. Sew the opening to close the pillow. Follow this link to a blog where I found these directions as well as easy to follow directions to make the pillow cases. *A note on upcyclying and why it’s great; this is when you give new life to an old, no longer used, soon to be discarded object. 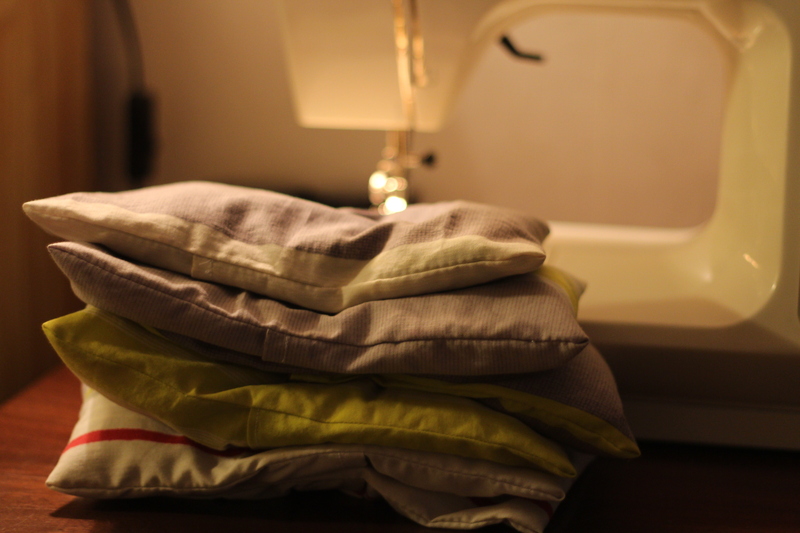 As this is a blog dedicated to both yoga and sustainability, I am glad to write this post about creating (DIY) rather than consuming with the added benefit of keeping some pillow cases out of a landfill.